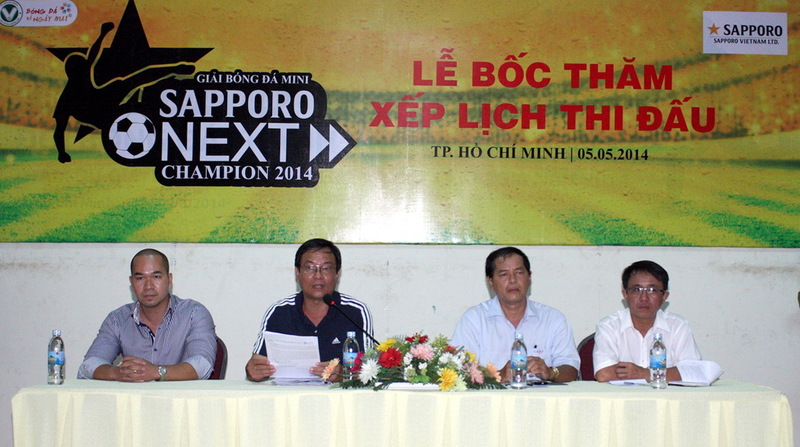 On May 5th, at Thong Nhat sports center’s hall, the drawing ceremony of mini Sapporo Next Champion 2014 was co-hold by Ho Chi Minh football federation ( HFF) and Sapporo Vietnam Co.,Ltd. This is chances for the whole staffs and workers in Sapporo Vietnam Co.,Ltd to encourage solidarity and friendship through football. 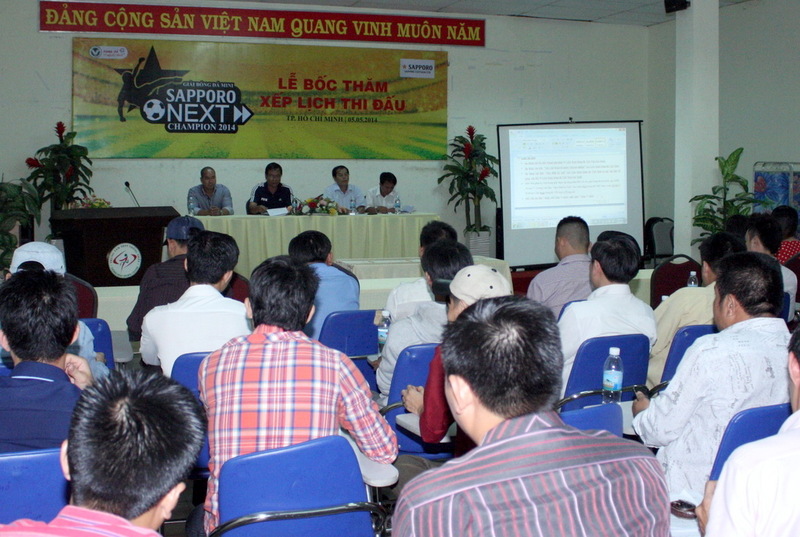 Sapporo next champion 2014 which attracted 32 teams will last from May 10th to May 25th at Tao Dan sports center, district1, HCM. All teams will be divided into 8 groups and there are fours teams in each group. They will compete in round with one leg then two best teams will be played in the 1/16 round, quarter finals, semi finals and then the finals. 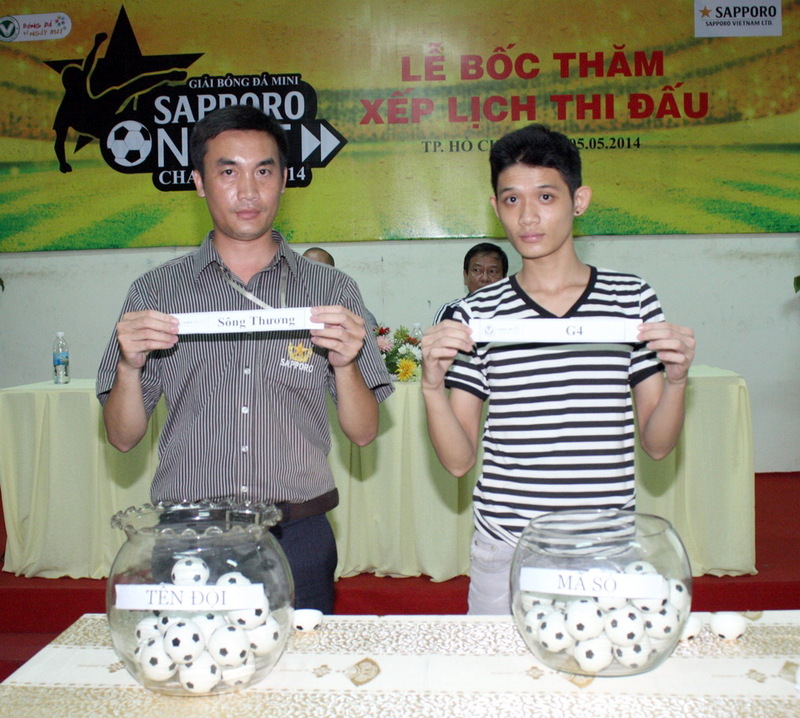 The winners will have chance to receive Cup and 30 million VND. The runners -up respectively receive 20 million VND and 10 million VND. The best playing style prize is 3 million VND, and individual prize is 1 million VND.